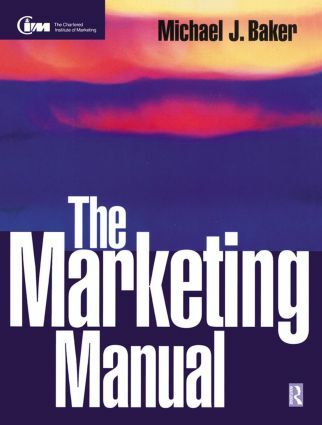 The Marketing Manual is a step-by-step guide to solving your marketing problem. Through questions, practical examples and mini-case studies, this book demonstrates how to prepare your marketing plan. The Marketing Manual addresses the 3 fundamental questions facing the business planner: *where are we now? *where do we want to go? *how do we get there? The workbook elaborates on these essential questions helping you to address your own marketing problem and work through to the preparation of an operational marketing plan. Strategic marketing planning; Problem solving and decision making; Developing a marketing orientation; Marketing and competitive success; The marketing appreciation; Where do we want to go? ; How do I get there? ; How will I know when I've arrived? ; Appendices; Index.